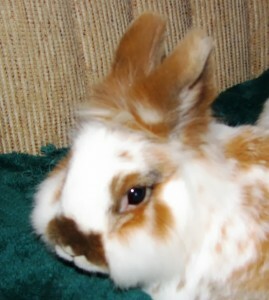 This web site contains pictures of cute bunny rabbits and other furry creatures. We were so very sorry to hear that Chico from Houseful of Rabbits has passed away. Binky free, little Chico! We are also sorry to hear that Rabbit’s Guy and Bunny Lady have decided to close down their blog. We would like to thank them for all the joy they have spread around the Internet, letting us get to know their lovely bunnies (oh – and a cat), and posting lots and lots of beautiful pictures of them. Thank you very, very much! This entry was posted on Monday, March 17th, 2014 at 8:48 pm	and is filed under Bunnies. You can follow any responses to this entry through the RSS 2.0 feed. You can leave a response, or trackback from your own site.